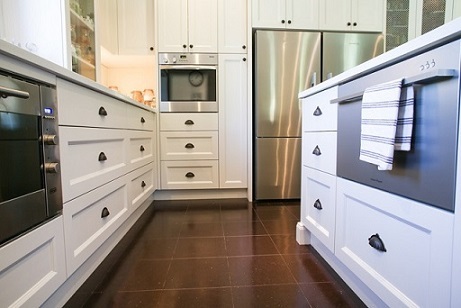 KitchenKraft has a new showroom with modern and traditional kitchens on display. We have the latest materials and finishes for you to view. Some of the materials for you to see are listed below. Kitchen Kraft Doors Matt and Gloss finish laminate doors. Polyurethane doors with flat profile and no handles Matt and Gloss finish polyurethane doors. 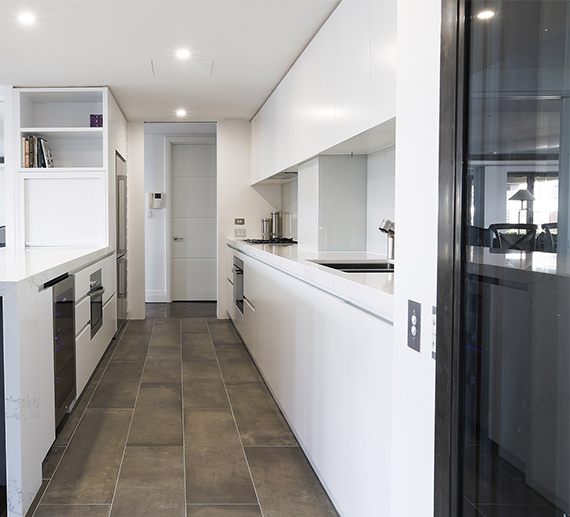 Kitchen Kraft Benchtops Caesarstone benchtops in all different thicknesses and colours. Carrera Marble Quantum quartz stone. Matt finish laminate. Gloss finish square edge laminate. Matt and Gloss finish laminate doors. Matt and Gloss finish polyurethane doors. Caesarstone benchtops in all different thicknesses and colours. Carrera Marble Quantum quartz stone. Gloss finish square edge laminate. BLUM Servo-Drive Drawers and Lift Up Doors. BLUM Internal Pantry Drawer Solution Configurations. BLUM Tandem Intivo comes in Silk White or Terra Black. BLUM soft close doors and drawers. Pull Out Blind Corner Solutions. Please call or come into our new showroom located in Ryde.